Before registering your interest for a class, please read our Class Policies. By registering for a class, you agree that you have read, understood, and will adhere to these policies. This is where you should start if you want to become a patchworker. 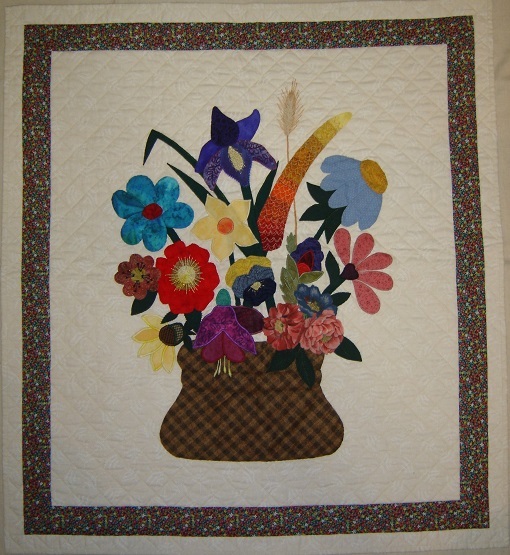 Using your own choice of colours and fabrics you will make a block at each of eight lessons, and with each one you will learn a new technique. The final lesson teaches about squaring up your blocks and making sashes and borders. The completed project is a single bed patchwork sampler quilt top. Comprehensive notes given for future reference. Carol will teach you all you need to know to turn your tops into quilts using your domestic machine. Learn straight stitching and free motion techniques, plus the basics of threads, layering, marking, needles and battings, and tips to unravel the mystery of it all! Comprehensive notes given for future reference. 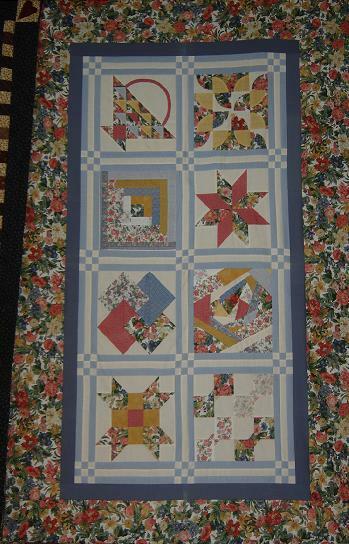 Have you always wanted to make a scrap quilt? Do you need to reduce your stash? Join these sessions to achieve all this and more. There will be many patterns to select from and you will be able to decide how to make your own unique project. Guidance will be given on fabric, tone and colour choices, as well as reaching the standard of piecing or appliqué that you would want. You are also welcome just to come and work on any current project of your choice. Bring along your scraps, sewing machine and a sense of adventure! Plus if you will be here over lunchtime remember to bring your own food. 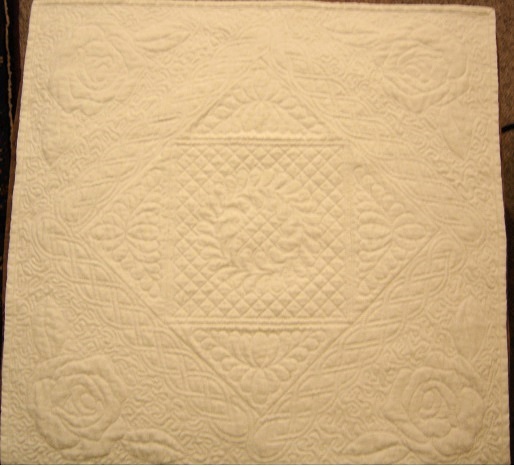 Quilting a large project is often beyond the abilities or desires of the home domestic sewing machine operator, so this class teaches you how it can be made easier to manage by quilting individual blocks or pieces of a quilt before they are joined together. There are various ways of doing this and they will all be covered in this class. In this class you will learn two different machine appliqué techniques to enable you to make the right choice for your project in the future. These are the fusible and “blind” appliqué methods. Join us on a Friday to work on your own project; complete your UFO’s, or just enjoy the camaraderie and meet others with a similar interest. Help is always at hand and you will be surprised at how motivated you can be. Tea and coffee provided. If you are here over lunchtime, please bring your own food. You can ring (07) 549 4775 or fill out our email form to register your interest.